The story of Susan B. Anthony and Frederick Douglass packed a full house tonight, the opening of “The Agitators.” Rochester’s famous reformers really showed their mettle at this fine play at GEVA Theater. Actors Madeleine Lambert and Cedric Mays delivered the pair’s famous arguments with conviction and humor against a massive timeline that resembled the double arches of the Frederick Douglass-Susan B. Anthony Bridge in Rochester. This is one of my favorite quotes from the play, and served as the theme to portray the lifelong friendship between these reformers. Especially moving were the scenes where the pair toured Frederick’s burned-out home; where they fought over the enfranchisement of black men before women; and where he begged Susan not to hold a women’s rights convention in a southern state where black women were not welcome. Personally, I enjoyed the proslavery mob scene and the final vignette about Ida Wells, which both figured prominently in my book Susan B. Anthony And Justice For All. Want to read more about these two revolutionaries? Get your own copy of this easy read that portrays Susan’s entire life. Great for students, too! Biography of Susan B. Anthony–New in September 2017! 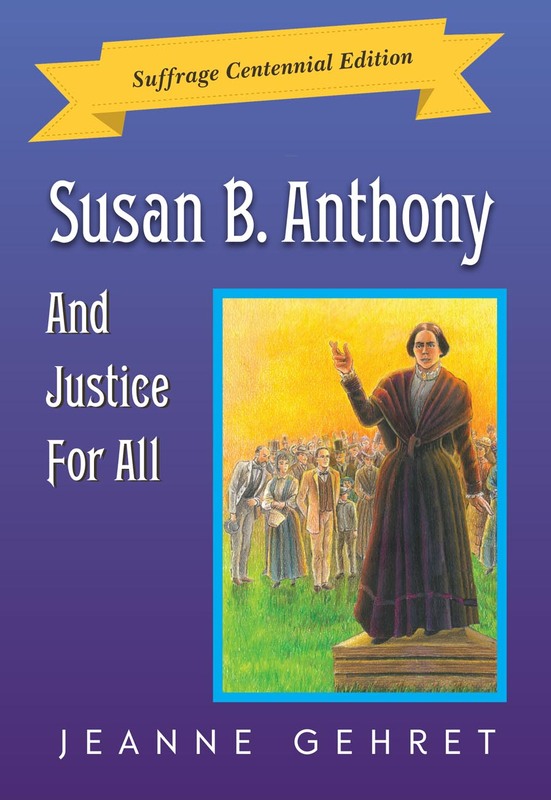 Susan B. Anthony And Justice For All: Suffrage Centennial Edition–complete revision of 1994 edition. Order now on Amazon or Amazon Kindle. 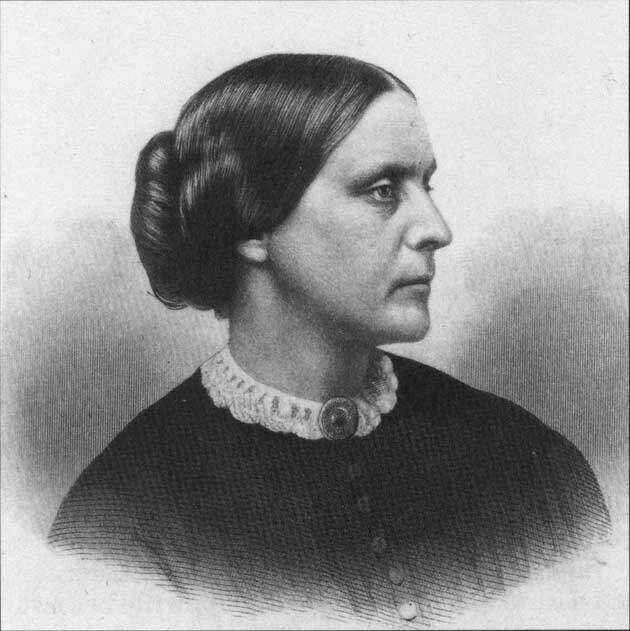 Biography of Susan B. Anthony that carefully follows primary sources (Ida Harper, Alma Lutz, Ann Gordon), and is updated to include the ratification of the woman suffrage amendments in New York State (1917) and the U.S. (1920). Celebrate the reformer whose drive and passion for equality made such a difference in the lives of women and African-Americans. 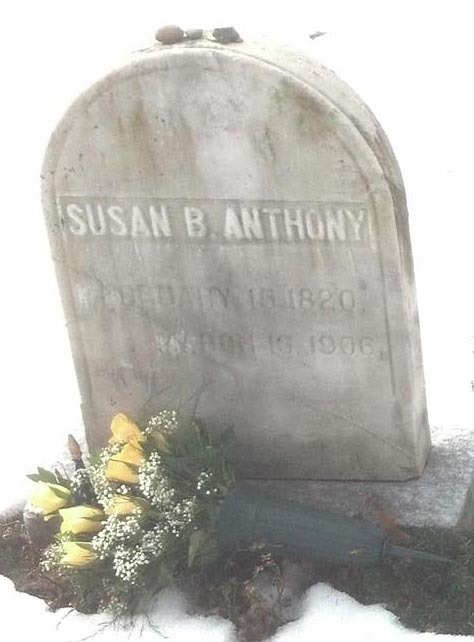 From her early work against slavery in the 1860s through her fight for the nineteenth amendment granting woman suffrage, Anthony traveled the world, voted illegally, and changed history. For grade levels 6-8: includes archival photos, illustrations, bibliography, index, and glossary. Selective adjustments of dialogue accommodate modern ears. Jeanne Gehret has portrayed Susan B. in costume ever since the 1994 first edition of this book. 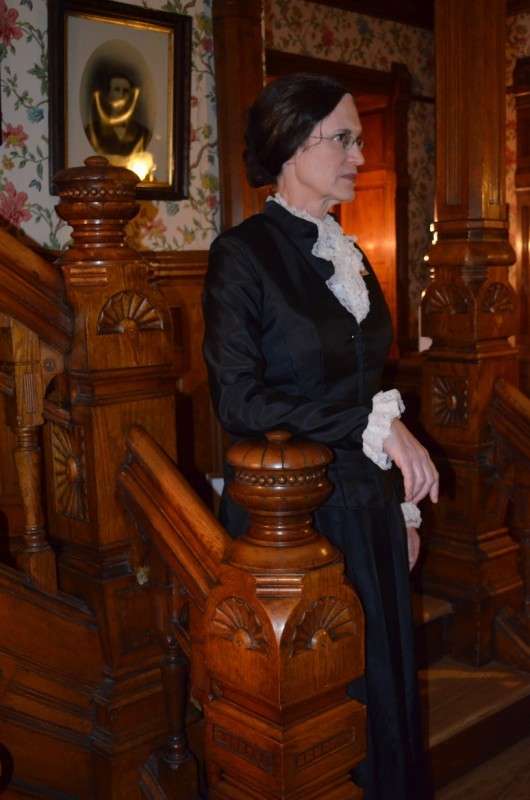 She served as a docent at Miss Anthony’s home in Rochester, NY and has set her own feet on many of the places where the famous reformer lived, worked, and visited. 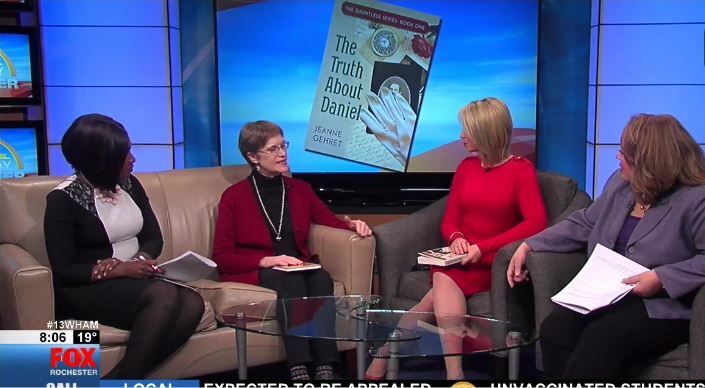 She has also written The Truth About Daniel based on the true story of Susan’s brother. For women’s history month, I have confined my selection of heroines to those who lived in 19th century America. That eliminates some of my favorite women like Alice Paul and Inez Milholland, who were both so instrumental in the second generation of suffragists that brought the movement through the final years before the woman suffrage amendment finally passed in 1920. This is a special year for New York State, where women earned suffrage on state matters in 1917. 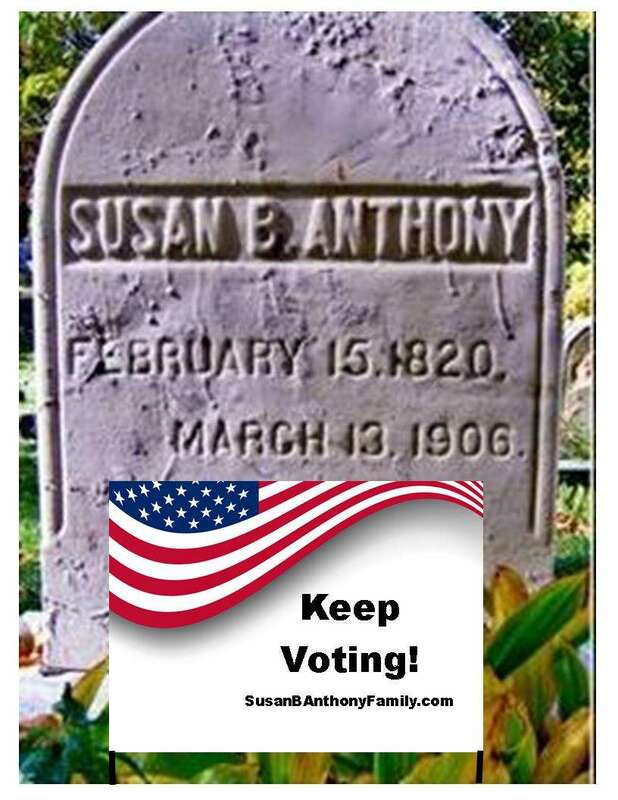 Unfortunately New York State resident Susan B. Anthony did not live to exercise her right to vote legally in either her state or her country, for she died in 1906. Indeed, even though the entire country revered her late in life, her home state in 1894 ignored 600,000 petitions for woman suffrage, and the following year it formed an association opposed to woman suffrage. The only states that allowed women to vote in Susan’s lifetime were Wyoming (1890), Colorado (1893), Utah and Idaho (1896). To offset this sad showing for New York State, today I am highlighting two female reformers who blazed their way across the empire state so brightly that they inspired the young Miss Anthony. They were Sarah and Angelina Grimke, who made themselves unpopular in their native Charleston by championing slavery, as memorialized in Sue Monk Kidd’s excellent historical novel The Invention of Wings. The sisters grew up as privileged daughters of a judge and plantation owner, with their slaves sleeping on the floor of their bedroom. In an article about the sisters’ Charleston home, author Louise Knight also gives background on the economic dependence of that slaveowning city on slavery. The striking elegance of the Grimké home reflected both the sophistication of the city they lived in and the family’s fabulous prosperity. Charleston in the early years of the nineteenth century was one of the new nation’s great metropolises. 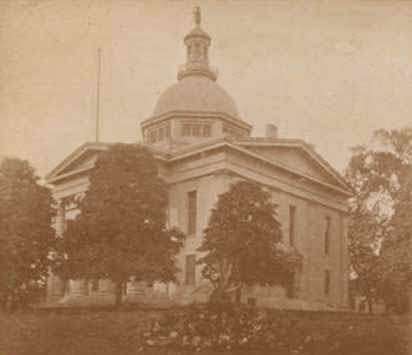 In 1810, with a population of roughly 24,711, it was the fourth largest city in the United States and possessed enormous wealth. The white community numbered 11,568. Charleston was a majority black city, with 13,143 Africans and people of African descent. In 1810, 89 percent of the black population—11,570 people—was enslaved, toiling in the households or the family stables or hiring out to work in the trades. Their unpaid labor across the city—combined with the unpaid labor of those working on plantations across the state—created Charleston’s wealth. The remaining 11 percent of the black population—some 1,430 African Americans—formed the free black community, whose skills in the trades and at the docks kept the city functioning. I appeal to you, my friends, as mothers; Are you willing to enslave your children? You start back with horror and indignation at such a question. But why, if slavery is no wrong to those upon whom it is imposed? Why, if as has often been said, slaves are happier than their masters, free from the cares and perplexities of providing for themselves and their families? Why not place your children in the way of being supported without your having the trouble to provide for them, or they for themselves? Do you not perceive that as soon as this golden rule of action is applied to yourselves that you involuntarily shrink from the test; as soon as your actions are weighed in this balance of the sanctuary that you are found wanting? Her pamphlet was burned in Charleston. Soon after, the Grimke sisters undertook a 67-city speaking tour of the Northeast (including New York), where they amazed crowds by addressed mixed audiences, not just women—a practice that was considered scandalous because the sexes were supposed to be kept separate and women were not supposed to speak in public. 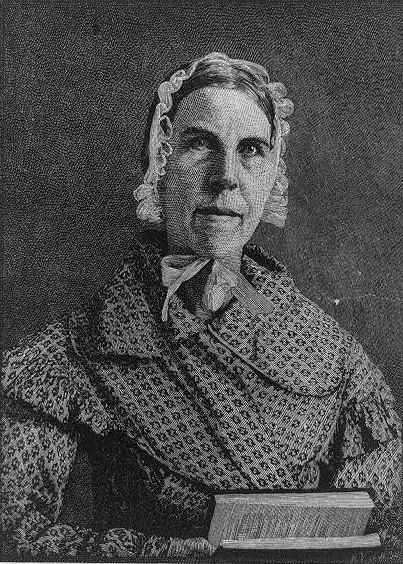 Sarah and Angelina Grimke paved the way for Susan B. Anthony, Elizabeth Cady Stanton, Lucy Stone, and others to speak in public about abolition and on women’s rights, as well.